USB flash drive jewelry is not only attractive, it is the perfect USB for students. It is functional and may help students of all ages keep up with the drive. At the very least, it may help the instructor remember to whom a forgotten USB drive belongs. As a college instructor in a computer lab, I have often had students leave their USB flash drives in the lab computer. All too often, there is no name, and nothing to help the instructor discover to whom the USB drive belongs without opening the files saved on the drive to find a name. Most instructors are reticent to invade privacy in this manner, so USB drives may be dropped into a desk drawer, while the instructor waits for a student to come forward. However, if the student does not remember when or where it was last used, the instructor may never be approached. One way to get around this is to have USB jewelry, such as the Shiny Crystal Diamond Guitar USB Flash Drive with Necklace or the Silver Crystal Teddy Bear Design USB Flash Drive with Necklace pictured here. This would definitely be something I would remember. at least one USB drive for their school work. 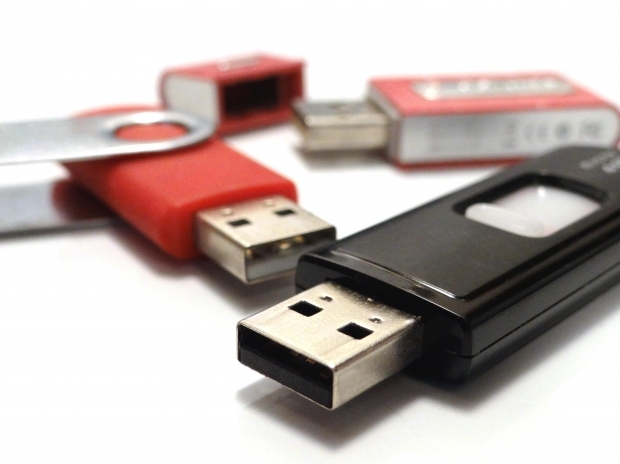 Students in all grades, K-12 and college, now need USB drives for school work. For the perfect gift for your older student, consider USB jewelry! USB drives are usually rated for 2500 uses. Eventually they will not work. Use USB drives as temporary and portable storage only. Do not depend on them for permanent storage. Who Wants One of These, When They Could Have USB Jewelry? What Size USB Drive Do I Need To Buy My Student? Some parents and students will not know how much information can be stored on a flash drive. It depends, of course, on what you need it for. For videos, music, and high end graphics, you will need a larger storage capacity. For most K-12 students and college majors, a 1GB USB drive will hold all the course work most students need. A larger size memory capacity would allow the student to download textbooks (if that is required) or to save favorite music or videos on the drive. However, students taking CAD, computerized graphics art, or multimedia arts courses will have plenty of storage space with 32 GB of memory. On a 1 GB drive, you can save about 4,500 books, about 250 songs, about 600 photos (taken with a 6 MP camera), or about 15 minutes of video. Most USB drives, like the USB heart necklace above start around 8GB or more. So, on an 8GB drive you can save 36,000 books, about 2,000 songs, about 4,800 photos (taken with a 6 MP camera), or about 120 minutes of video. USB jewelry helps students keep up with their flash drives.